i moved here one year ago from williamsburg. 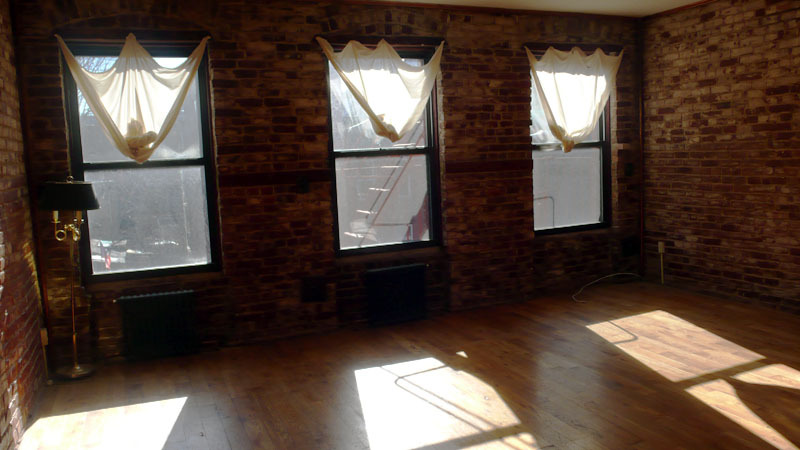 it is quite interesting neighborhood and nice apartment but it’s time to move back to williamsburg again. bye bye harlem! 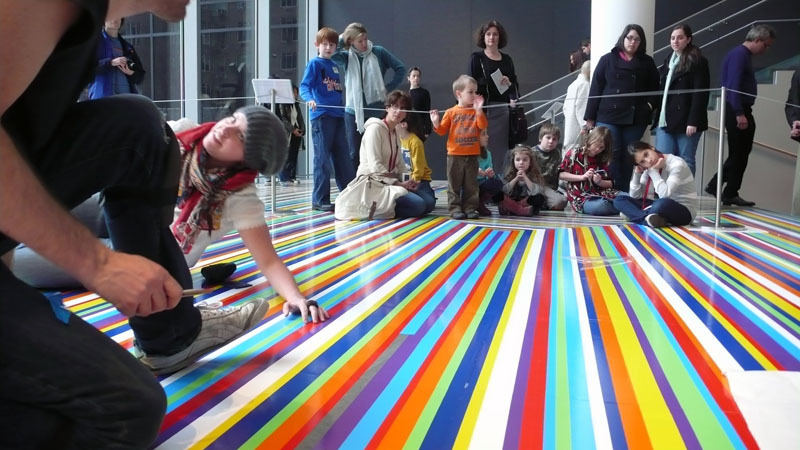 i had been working an installation for jim lambie “zobop!” project at moma past ten days and just finished. we covered the entire floor of entrance with colorful vinyl tapes. the opening party will be february 26, 9 to 11pm, but you gotta need to RSVP. it’s a part of an upcoming exhibition, called “color chart: reinventing color, 1950 to today”.